Do you need new office space? We can help! Our professionals will help you find the best office space at the right price without the usual hassle of searching. Our experts at KW Commercial Texas Gulf are well-versed in the business environment and available office space throughout Houston. We work with business professionals to help pair them with the best office space for their expanding business. Are you looking to move your business location? Contact us today! 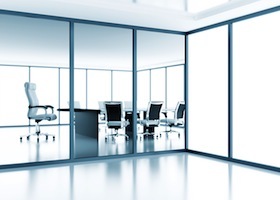 Renting a new office space and signing a brand new lease is a huge commitment. Not only does your location affect your business operations, but the cost of the office space affects your bottom line. In addition, office space affects other parts of your business including employee productivity and customer’s impressions. For these reasons and more, it’s essential to have a professional representing your business! At KW Commercial Texas Gulf, our professionals are in tune with market trends and understand your needs as a business owner. With the help of our professionals, we will pair you with an office space that will help enhance employee morale, business productivity, and give you room to grow as your business continues to expand. As experts in the field, we will help you find the best office space, negotiate the best lease available, and avoid costly mistakes. Take advantage of our personal assistance, knowledge of your surrounding market, and extensive experience in the industry to make the most of your office space search! For more information on our office leasing services, contact KW Commercial Texas Gulf today! We look forward to assisting you!